Channel delays: 20-30min delays DFDS Dover-Calais/Dunkirk for ‘operational reasons’. A technical problem on Pont Aven and bad weather affects some Brittany Ferries‘ services from tomorrow until Monday. Bad weather disrupts Condor Ferries services on Sunday and Monday. Weather alerts: Amber alert heavy rain Spain, fog Poland. Weather: Becoming more settled. Rain Iberia. Fine and dry east Med/Adriatic/Balkans. Major upgrade for the Brussels Ring Road. A typical scene on Brussels’ R0 Ring Road (see the opposite carriageway). One of Europe’s major traffic hotspots is to be given a major overhaul according to plans unveiled today. 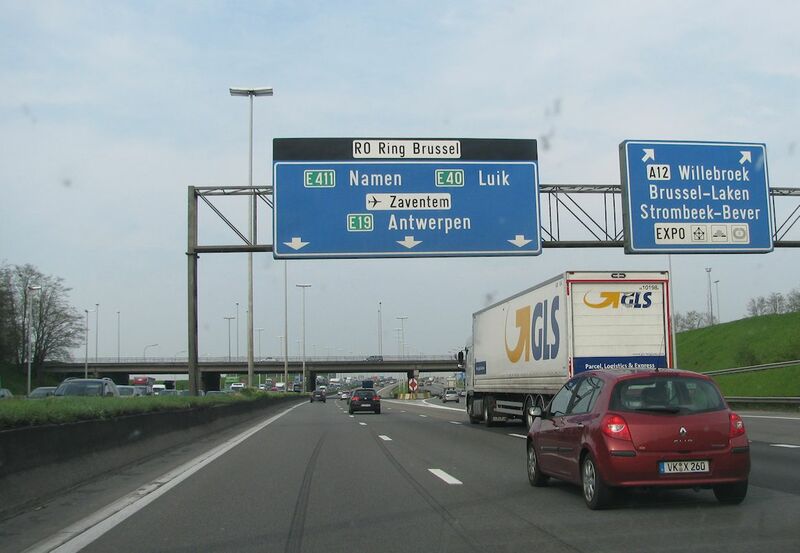 Long the bane of drivers heading to and from the Channel Ports and Belgium, Netherlands, Germany and Luxembourg, the Brussels R0 Ring Road will be expanded to five lanes in each direction from west to north. This takes in the A10/E40 from Calais/Dunkirk/Ostend/Bruges/Gent and the A12 and A1 to Antwerp. The Flanders Government in the north of the country has finally taken the lead after years of discussion. Even advocates admit that the current works, hard shoulder running during rush hour and changes to major junctions, will have a minor impact on the notorious traffic levels. While the upgrade to R0 won’t solve congestions problems entirely, especially in Brussels itself, the world’s busiest city, it will relieve the most crowded stretch. The bad news: work won’t start until 2016 at the earliest. It’s been open to traffic since 27 August but, as of this weekend, the Hardanger Bridge is completely finished. The exterior and underside have now been fully painted and the crane on one of the towers has been dismantled and taken away. At 1,380m the central span is longer than The Golden Gate Bridge and is the eighth longest in the world. The deck is 55m high meaning large cruise ships can no longer pass underneath. Us drivers will have the place to ourselves. 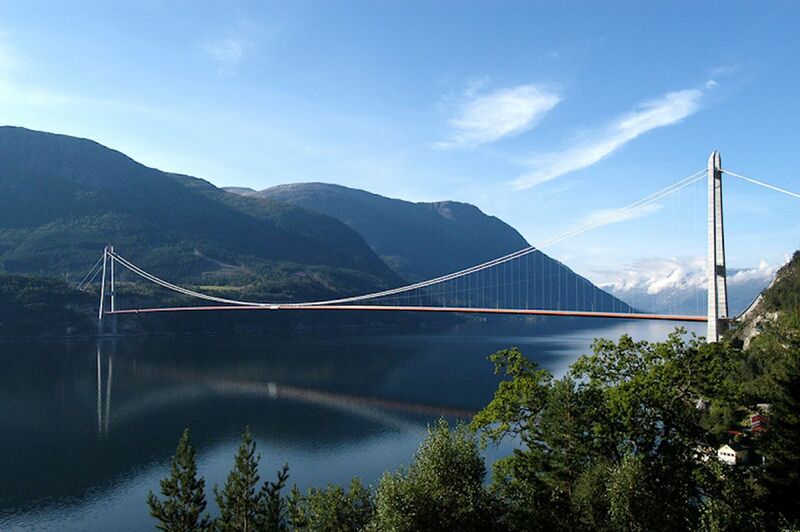 The bridge crosses Hardanger Fjord in south west Norway, joining roads 7 and 13 between Vallavik and Bu. It cuts the journey time from Oslo to second city Bergen and also joins up the north-south inner trunk road. The toll for cars is NOK 150 (£15.75) or four times that for vehicles over 3.5t, in place of the ferry fare. 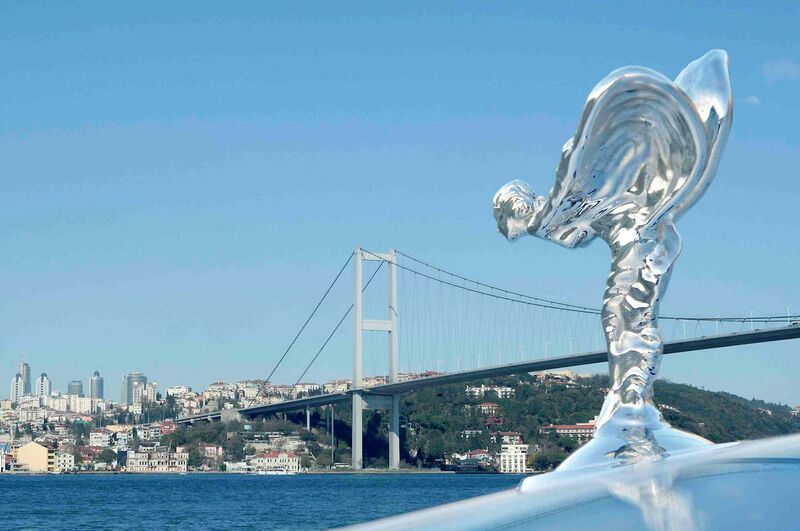 Rolls-Royce is to open its first ever dealership in Turkey. Rolls-Royce Motor Cars Istanbul will open on the Bosphorus early next year, but first there’s a special event at the British Embassy next month to introduce the Wraith, ‘the definitive Grand Tourer for connoisseurs.’ Meanwhile, the company is celebrating 100 years since first handing over a car – a Rolls-Royce Silver Ghost, chassis number 2411 – to a customer in Poland by signing off architectural plans for a new showroom in Warsaw. Due to open next year. roundup: TESLA. A full network of high speed, free ‘Superchargers’ will be installed by the end of 2014, the first RHD Model S will be delivered in March and prices start at £55,000 said Elon Musk at last night’s store opening in Westfield Shopping Centre, London. UK drivers will also be entitled to a free ‘Autobahn upgrade’. PORT OF DOVER reports a healthy set of results for the third quarter: cars were up by 9%, coaches by 13% and trucks by 17% compared to Q3 2012. It now holds market share of 55.5%, 65% and 63% respectively. GREECE. Incoming road traffic from abroad rose by 25.4%, or 300,000 people, in the first half of 2013 says official stats, totalling 1.55m, mainly thanks to visitors from Turkey. TAJIKISTAN. Police are finally enforcing rules, dating from 2009, which say students are banned from having cars or mobile phones. Both are a distraction from academic work says President Rahmon. ROMANIA. A traffic warden on a busy intersection in Braila in eastern Romania was brutally charged by a bull on Wednesday. The horrific scene was caught on film. ITALY. As per the Pope’s example, bishops are dumping flashy cars in favour of more modest motors. It’s also exactly what the head of the Russian Orthodox Church said earlier in the year after several high profile road rage incidents and crashes involving priests in expensive cars. Also, a 61 year old fake priest has been arrested at the French border with 6kg of cocaine in a car driven by his 25 year old Ukrainian dancer girlfriend.